Use self help to determine where the fault is. Esitel’s phone & broadband engineers resolve your problems will give an excellent repair service and fix your faults. We will have you up and running again in no time. We offer telephone and broadband support including installation of new sockets, extend wired or wireless networks, repair faults and can improve the speed of your broadband. 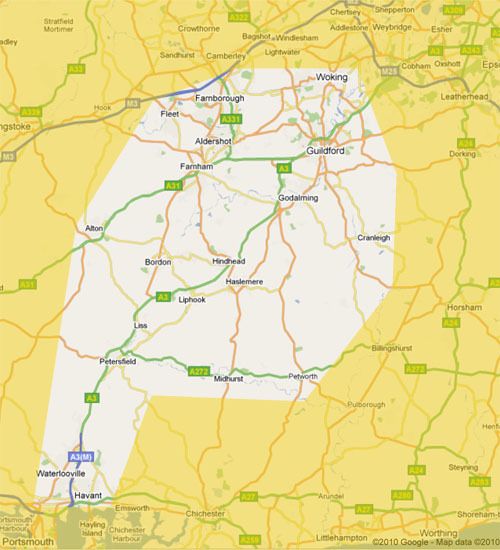 We work around the West Sussex, Hampshire, and Surrey borders. As a local company close to our customers we can serve you better. Quality telephone and broadband support provided at affordable prices will ensure you are able to communicate anyway you want in. Our timed appointments are made to suit you, no waiting in all day for an engineer to call. We can normally be on site within 24 to 48 hours after your call so no long waits to get your service back. As members of Checkatrade we are independently verified as a reliable trustworthy company for your security and peace of mind. Established in 2003, Esitel Ltd is owned and run by Brian Baker, apprentice trained with more than 40 years telephone engineering experience and a member of the Institute of Engineering and Technology.